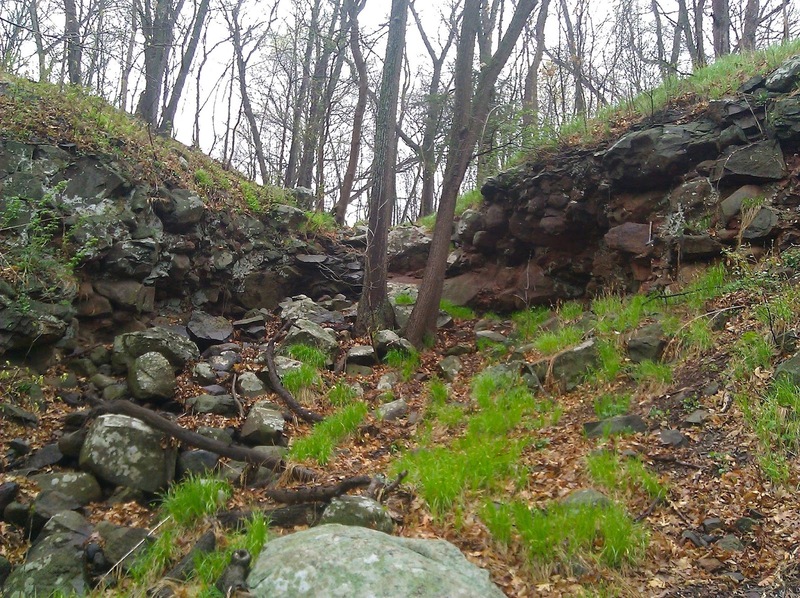 Within Interstate State Park near Taylor's Falls, Minnesota are several unique geologic formations. 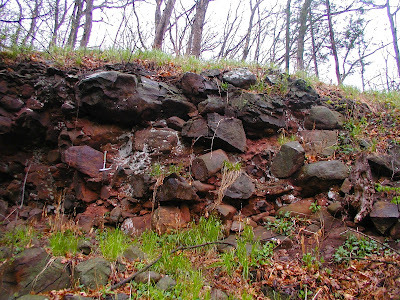 One of these is the informally named, Mill City Conglomerate, a basalt boulder conglomerate of Cambrian age. 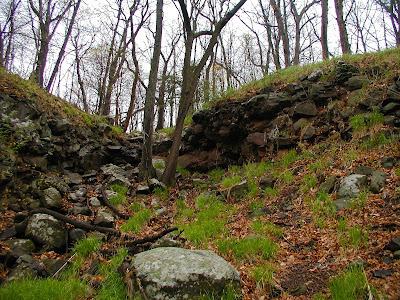 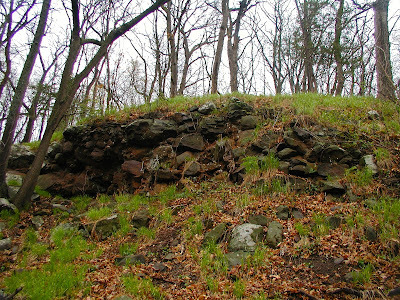 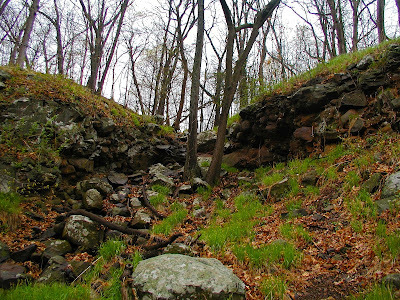 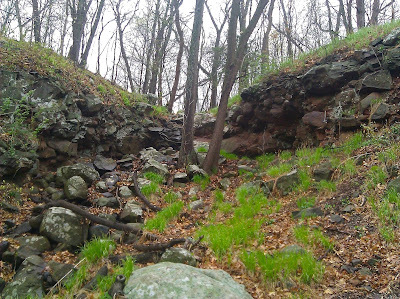 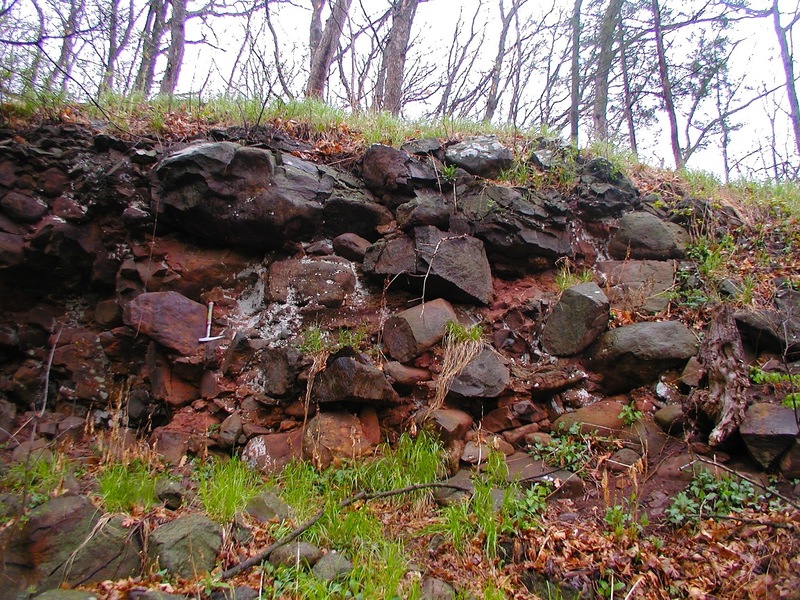 About a half mile south of Taylor's Falls, near the 'Welcome to Minnesota' sign is a conglomerate outcrop. 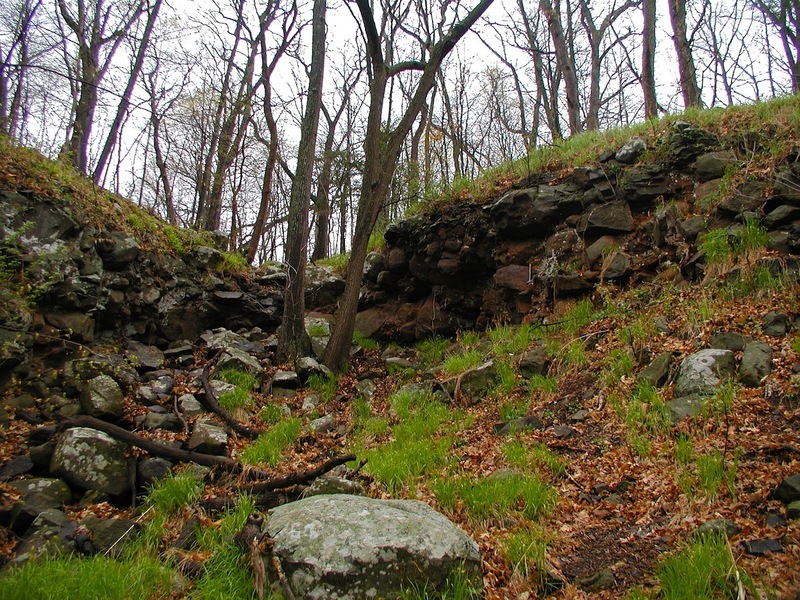 Walking an old railroad bed from the road sign towards Taylor's Falls, you come to a notch in the cliff, this is the site of the conglomerate. 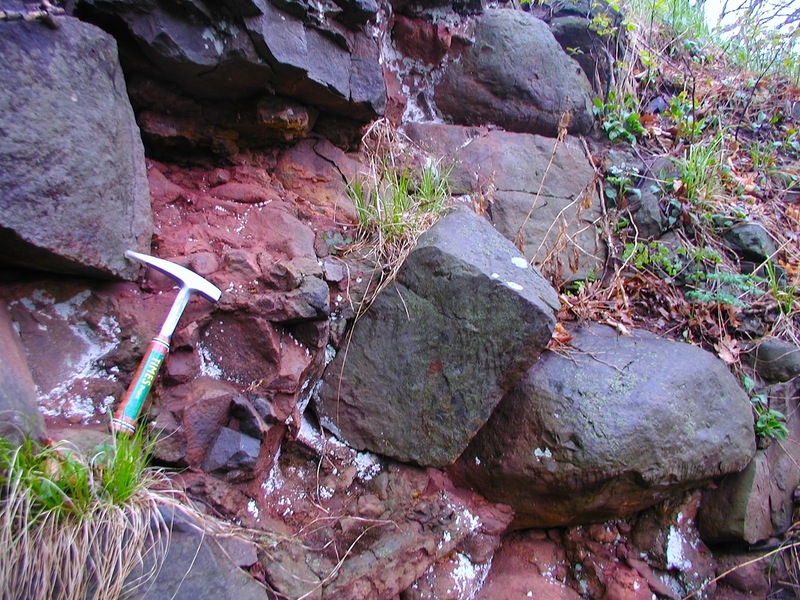 The conglomerate was deposited 504 million years ago along the shoreline of a Cambrian sea, quite possibly near basaltic islands. 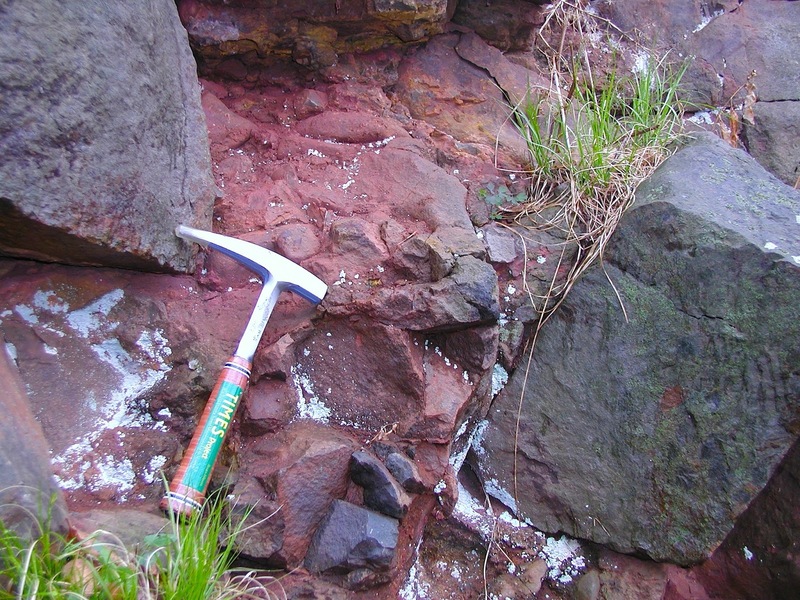 Fossils of brachiopods found in the conglomerate provide evidence for the ancient sea. The majority of the boulders of basalt have rounded edges, indicating a high energy environment. The basalt boulders are cemented together by a tan or reddish matrix of sand and silt. 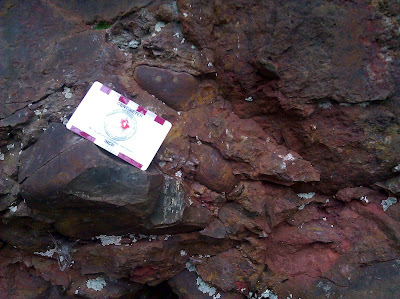 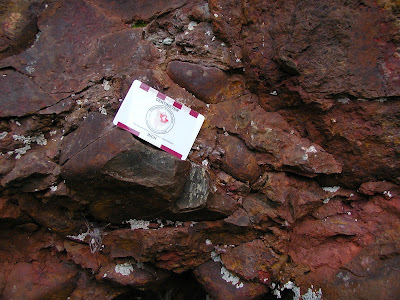 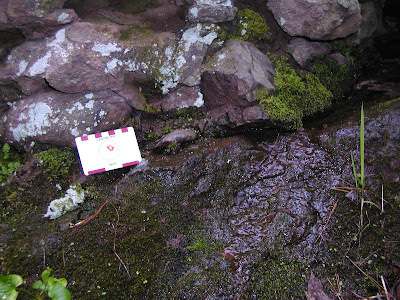 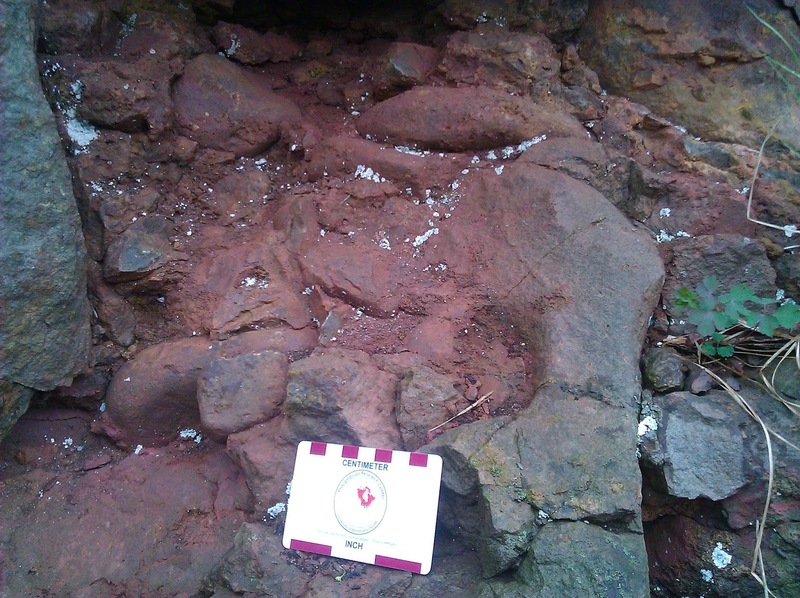 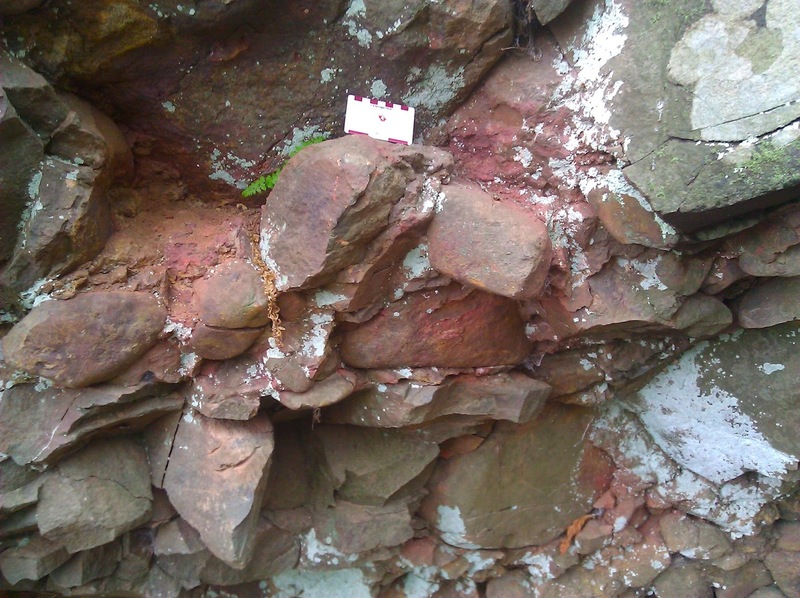 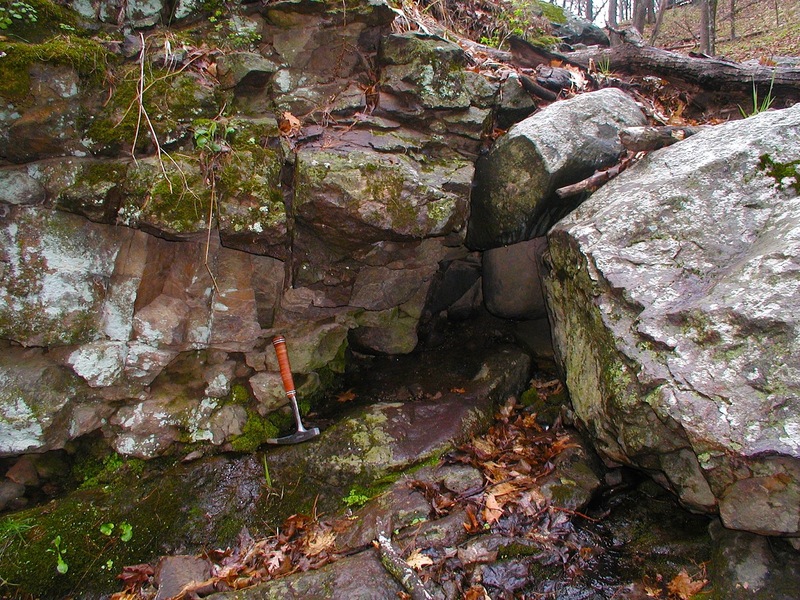 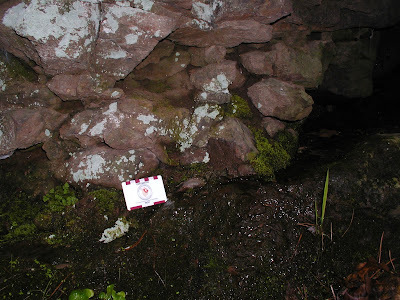 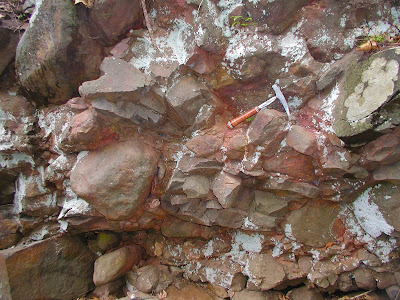 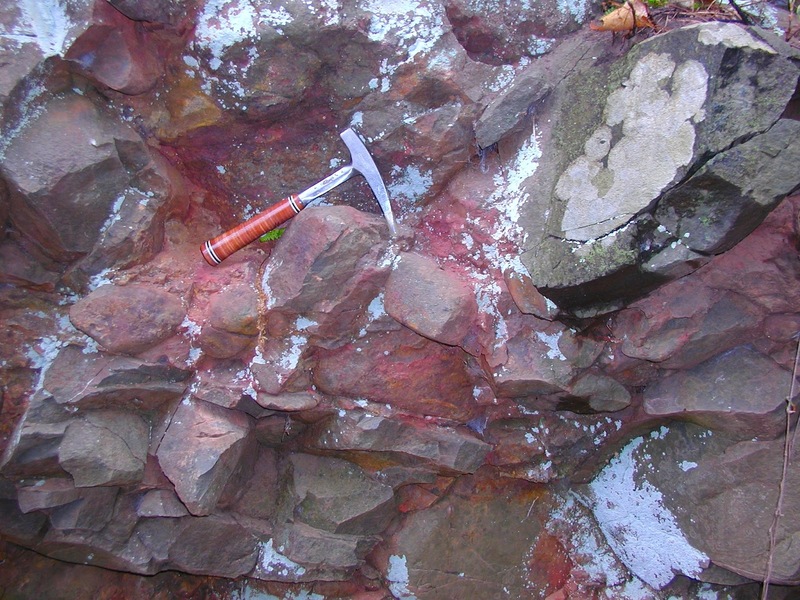 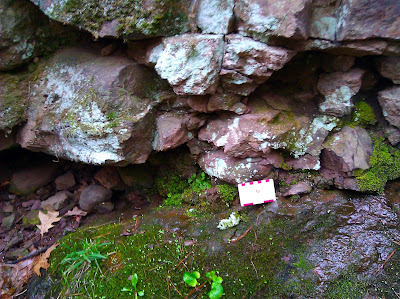 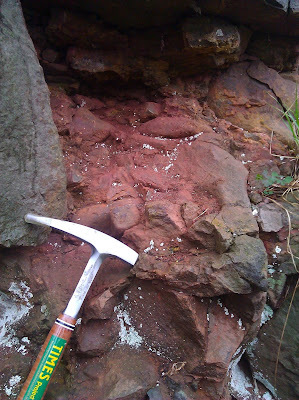 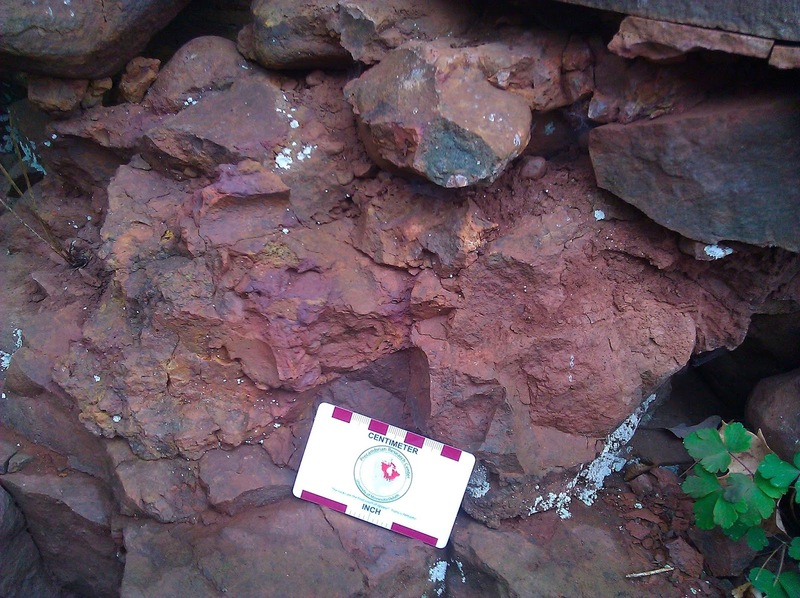 Near a hiking trail, not far from the park's campground, one can locate the contact between the conglomerate and the underlying basalt. This contact represents nearly 600 million years of time from the underlying basalt lava flow to the deposition of the conglomerate. The Taylor's Falls area has at least ten different basalt lava flows that are the result of the Midcontinent Rift System that formed about 1,100 million years old.